So I’m having one of those, I really don’t wanna eat that it’s full of all sorts of nastys and chemicals months! My target at the mo is Margarine, if bacteria refuse to live in margarine or vegetable fat spread then how good can it actually be for us? In my search for alternatives I found almond butter. Now I say its magic as there is 1 ingredient, almonds, yes that is it just almonds. They spent a good 10 mins of their life being chopped nuts and just as I was giving it up as a bad job BAM! The oils in the nuts released and it became a peanut butter type consistency. 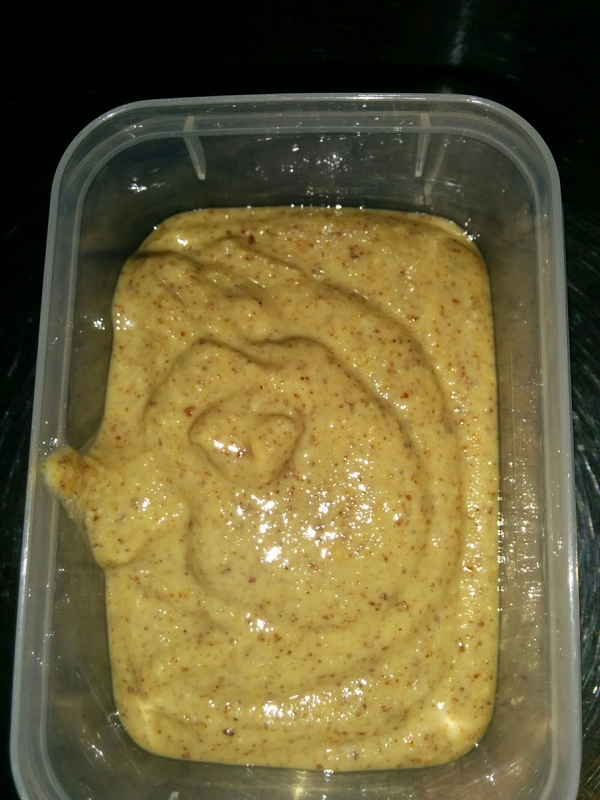 I spread mine on toast and it was yummy, I recommend giving it a try just make sure you have a good blender/mixer.